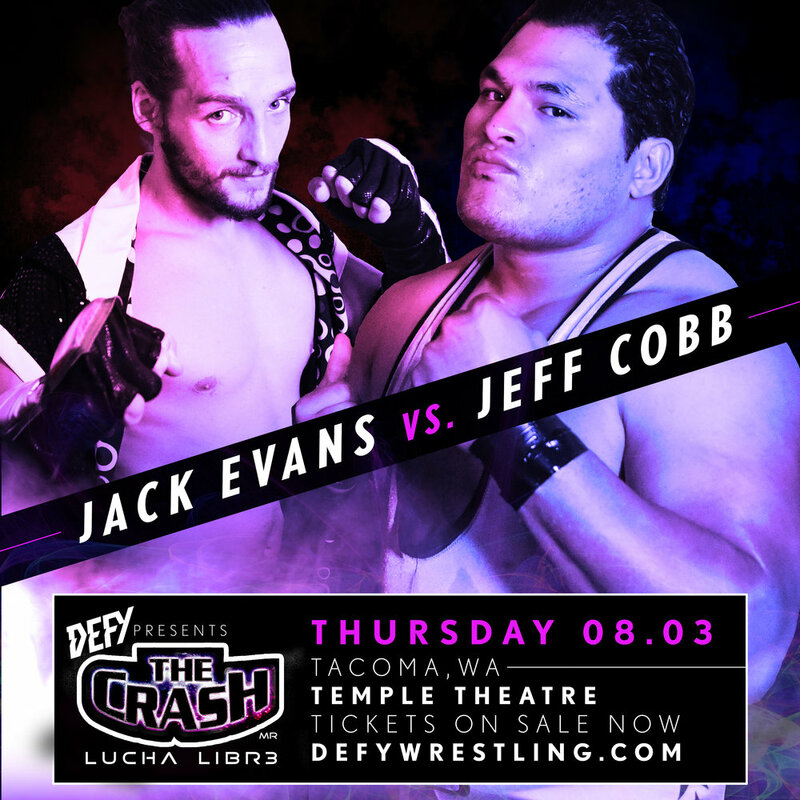 After last month’s successful debut in Tacoma, DEFY Wrestling makes its return to the City of Destiny. Thursday, August 3rd to the Temple Theater Grand Plaza Ballroom, at the Landmark Convention Center, 47 St Helens Ave, Tacoma WA 98402. Evans born in Tacoma Washington, who was raised in Parkland left the northwest to become a major international star based out of Mexico and stars in the highly acclaimed Lucha Underground television show. This will be Evans first match in Tacoma in well over 10 years. He will be pitted against 2004 Olympian, the powerhouse Mr. Athletic Jeff Cobb! 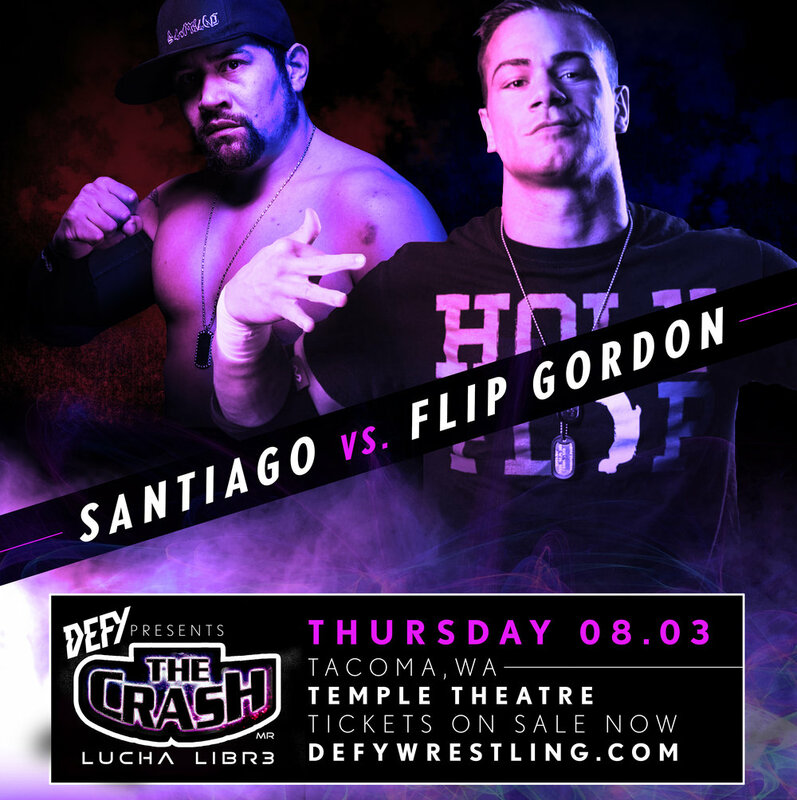 August 3rd will see the debut of Ring of Honor star, Flip Gordon. Gordon who has made a huge impression on the wrestling world will be taking on “the Puerto Rican Sensation” Mike Santiago. Also competing is Ave Rex and Sonico, Los Sexi Mexi’s. 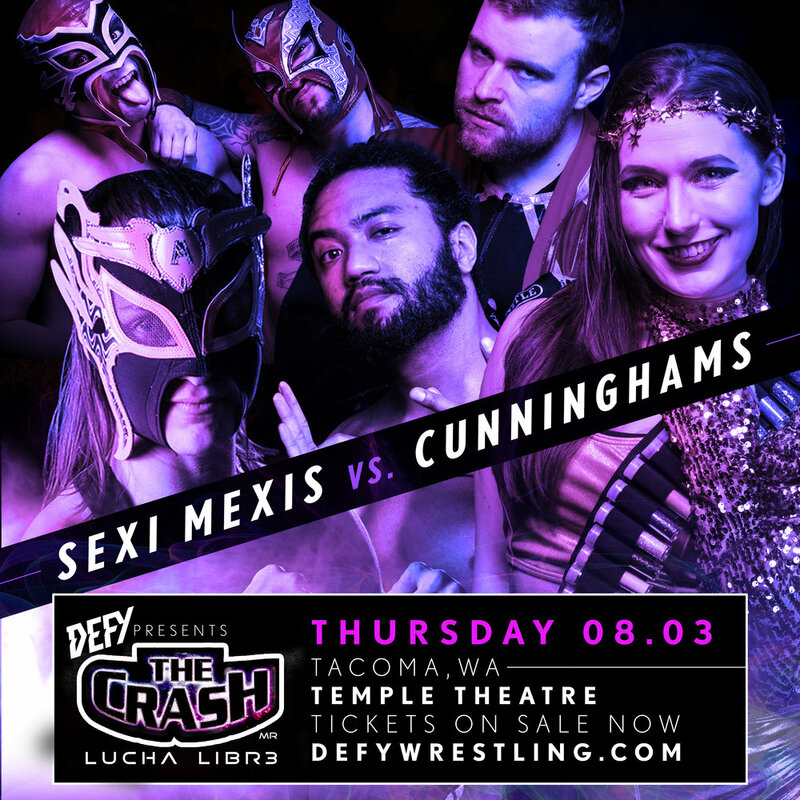 The Luchadores will compete with the tandem of Big Jack and Carl Cunningham. Last month the women of DEFY had one of the most amazing matches of the evening. Hot off a tour of Japan, international star Cat Power will be making her DEFY Wrestling debut. Many other great local and international stars will be gracing the ring at the Temple Theater, you will not want to miss it! The host and ring announcer for the evening will be 99.9 KISW’s Kevin Diers (Filling in for Steve Migs)! 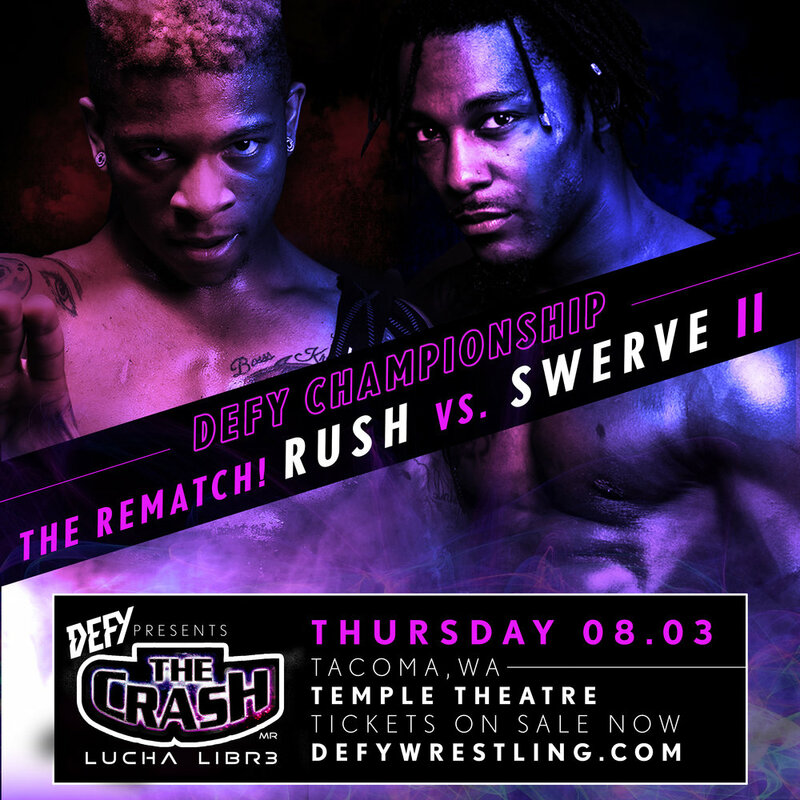 DEFY at the Temple Theater is open to all ages event and will include a meet and greet with the wrestlers prior to the matches. Group rate tickets and sponsorship opportunities are also available.